You plan to go to Český Krumlov (South Bohemian Region) in Czech Republic in december : check how are the weather and seasonal norms below. The weather in Český Krumlov (South Bohemian Region) in the month of december comes from statistical datas on the last years. You can view the weather statistics for all the month, but also by clicking on the tabs for the beginning, the middle and the end of the month. The weather in december in Český Krumlov (South Bohemian Region) is wet (with 57mm of precipitation over 12 days). The situation is deteriorating compared to the previous month since in november there is an average of 42mm of precipitation over 8 days. The climate is quite cold in that locality december. Plan a sweater! 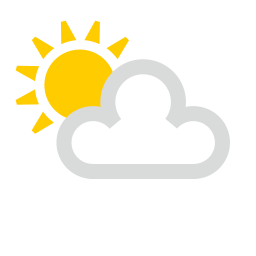 Temperatures are up to 4°C. In the morning the temperature drops to -0°C. Thus, the mean temperature average in december in Český Krumlov (South Bohemian Region) is 2°C. These temperatures are far removed from those records observed in Český Krumlov (South Bohemian Region) in the month of december with a maximum record of 12°C in 2014 and a minimum record of -18°C in 2010. You can expect to have about 11 days with temperatures below 0°C, or 35% of time. Day length in Český Krumlov (South Bohemian Region) in december is 08:16. 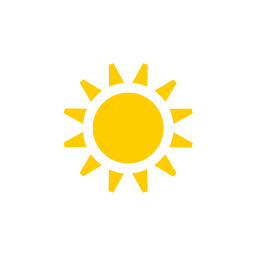 Sunrise is at 07:50 and sets at 16:06. Check below seasonal norms These statistics are generated from the weather statements of the past years of the month of december. Weather data for Český Krumlov (South Bohemian Region) for december are derived from an average of the weather forecast since 2009 in Český Krumlov (South Bohemian Region). There is a margin of error and these forecasts are to be considered as general information only. The weather in Český Krumlov (South Bohemian Region) can vary slightly from year to year, but this data should limit surprises. So you can pack your bags or check for the best time in year to go to Český Krumlov (South Bohemian Region). Best time to go to Český Krumlov (South Bohemian Region)?